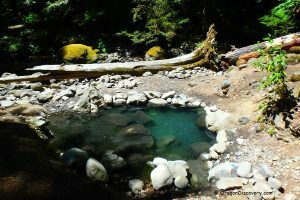 Located on a bank of the Wall Creek, 51 miles southeast of Eugene, Wall Creek Warm Springs is only one 12-foot diameter and 3-foot deep pool. 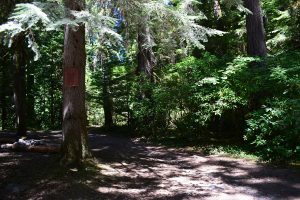 This place is easily accessible by a short 0.4-mile trail through the ancient Willamette National Forest. The bottom is made of sand, gravel, and rocks. Large rocks also encircle the edge of the pool, which sits directly over the source of natural springs, that bubble up at 104 degrees Fahrenheit. A slight sulfur odor is present. This warm creek side pool provides space for relaxation of 1 to 6 people without cramping. 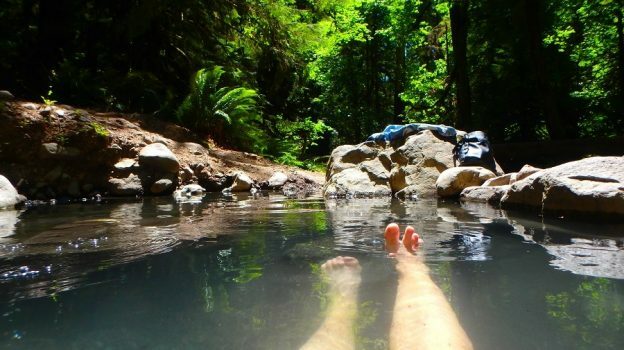 The water of Wall Creek Warm Springs is cool for soaking year-round, ranges from 90 to 98 degrees Fahrenheit, depending on wind and air temperature. For this reason, Meditation Pool is most appreciated during the warmer months of the year. 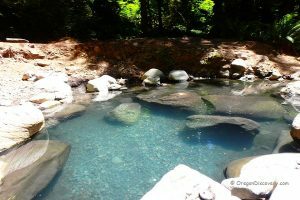 Sounds of the creek, stunning rocky bank, the oval blue water pool encircled by the old forest - all of these create meditative mood and reduce anxiety. 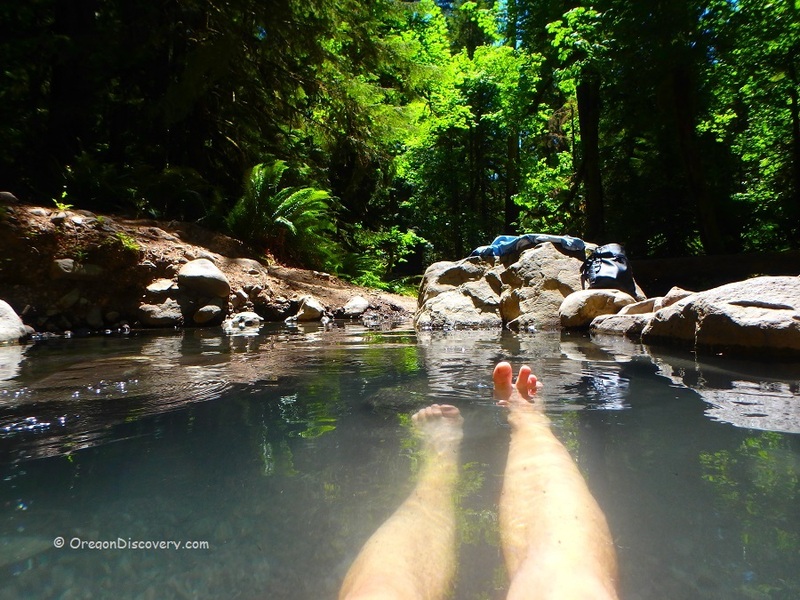 With such a majestic location, the bubbling Wall Creek, light filtering through the canopy of the aged trees standing guard, it is no surprise that this warm pool is lovingly called "Meditation Pool." Meditation Pool can be accessed year-round, from dawn to dusk. No camping is allowed near the warm springs. 119 miles southeast of Salem. 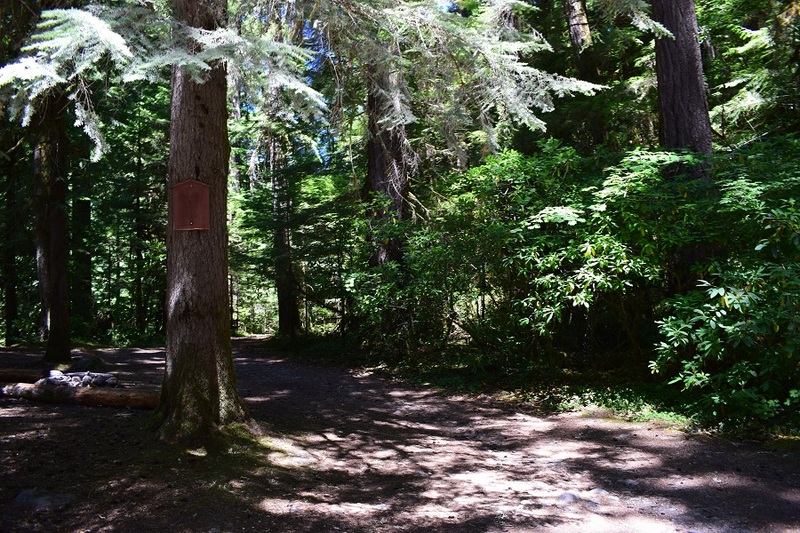 Turn left onto a gravel Forest Road 1934 and follow 0.5 miles to the trailhead turnout on the left. From the trailhead, hike 0.3-mile by a flat trail along the Wall Creek to the pool. 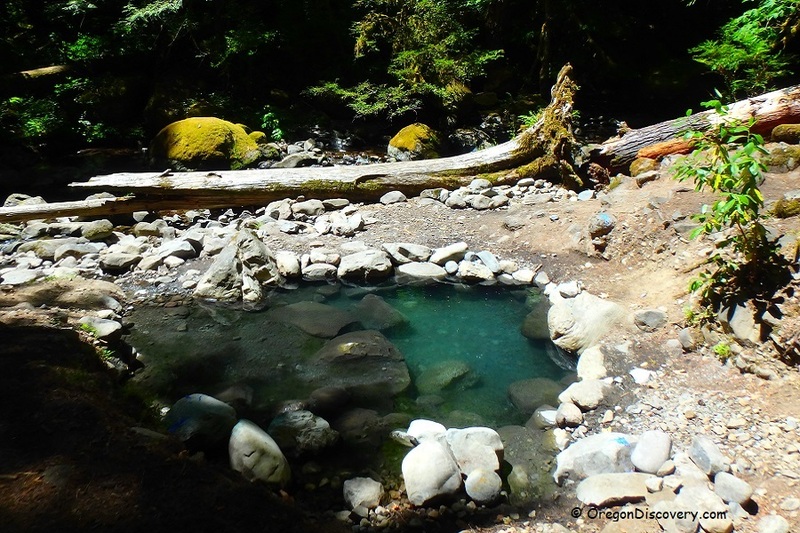 McCredie Hot Springs: Soaking, hiking. 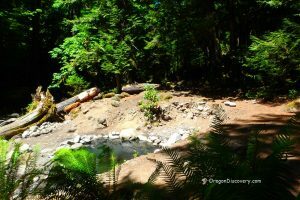 Salmon Creek Falls: Swimming, camping, fishing.